Arsenal striker Olivier Giroud has found himself spending more time on the bench than the pitch after Gunners boss Arsene Wenger dropped the Frenchman from his starting line-up in favour of Theo Walcott. The 29-year-old former Montpelier striker admits it is something new to him, but understands why he has been benched after being witness to the remarkable form being showed by the England forward. Giroud said: “At Arsenal, I am in competition with Theo for the striker position. But he is doing well at the moment, so there is no reason to change. Giroud started the season as Arsenal’s front man, but has found himself pushed out by Walcott, only making two starts for Arsenal since the home draw with Liverpool on the 24th of August. 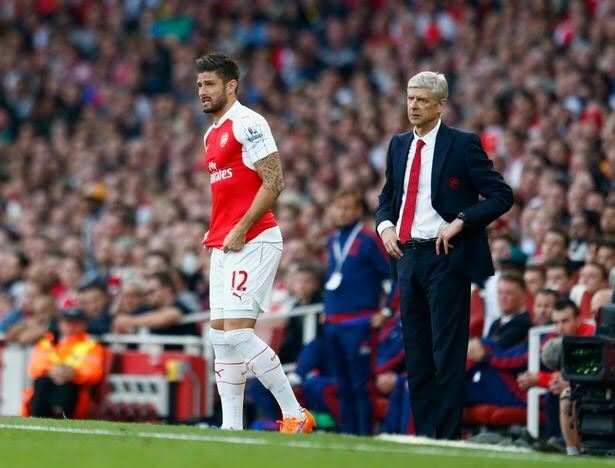 Giroud is taking it all in his stride however adding: “It is something new for me. “Whether it was at Tours, Montpellier or Arsenal, I have never experienced a situation like this, I have often played from the start.